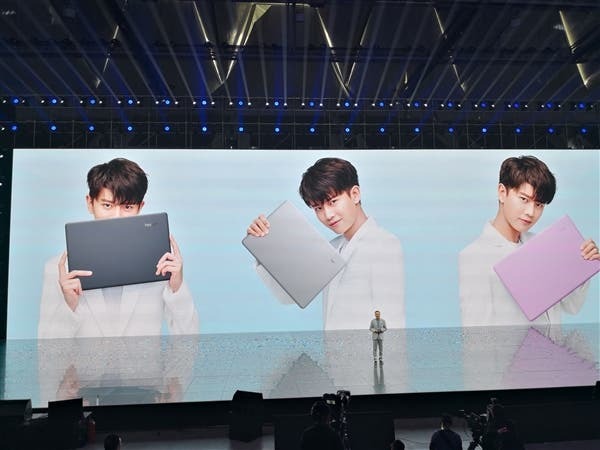 Today, in afternoon, at the Shanghai Sports Center, Huawei unleashed the much-anticipated Honor 10 and the first Honor-series notebook named the Huawei Honor MagicBook. This is a high-end laptop with a great design and hardware. 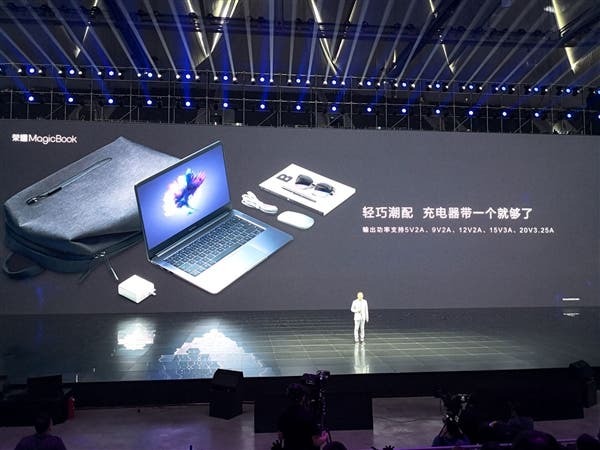 So with this move, the manufacturer clearly shows its intentions for the notebooks market. 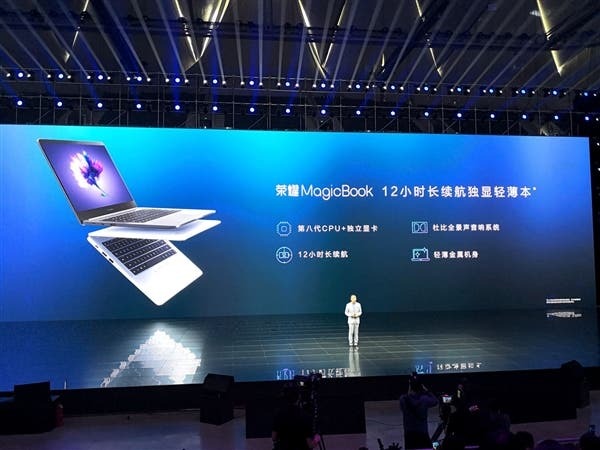 As the company announced at the conference, the glorious MagicBook notebook is a product built on the same philosophy and attitude of the smartphones. Thus, it sports a stylish look with trendy design elements, provides a powerful performance, and comes with a reliable quality. It uses a metal body. 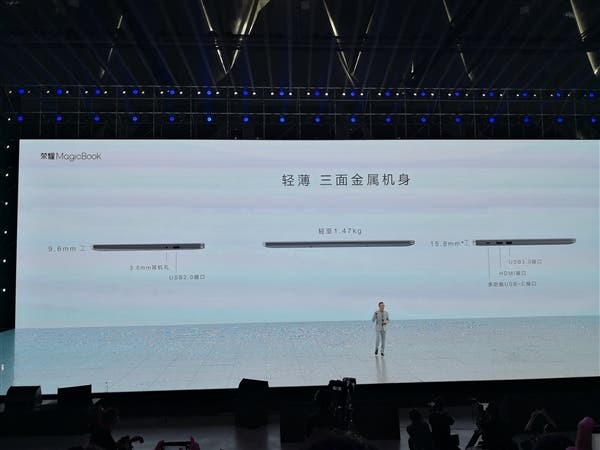 The thinnest part is 9.6mm, while the thickest part is 15.8mm. The overall weight is 1.47kg that is amazing if taking into account the material its housing is made of. However, the slim design didn’t prevent from putting many useful interfaces on the sides. They include a 3.5mm audio jack and a few USB ports. There are three color combinations of Glacier Silver, Star Grey, and Nebula Violet. 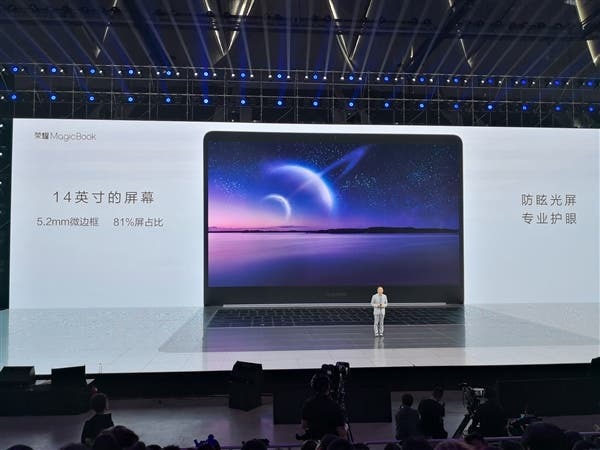 The Huawei Honor MagicBook is a full-screen notebook with 5.2mm narrowed borders. The 14-inch Full HD screen occupies up to 81% of the front panel, and it supports a professional eye mode. The display can open at 180 degrees. 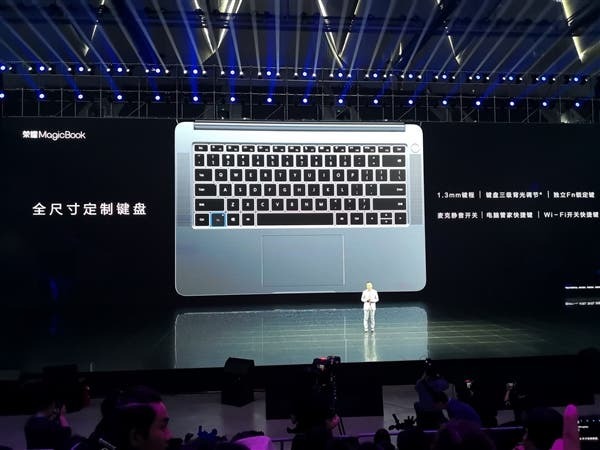 The laptop comes with a full-sized keyboard. The key range is 1.3mm only. It has two kinds of brightness and a three-level keyboard backlight adjustment. Besides the traditional keys, the manufacturer has added independent Fn keys that can be used to switch between various function keys. Some new keys have been added as well. They include a microphone mute switch key, computer housekeeping shortcuts, and Wi-Fi switch shortcuts. 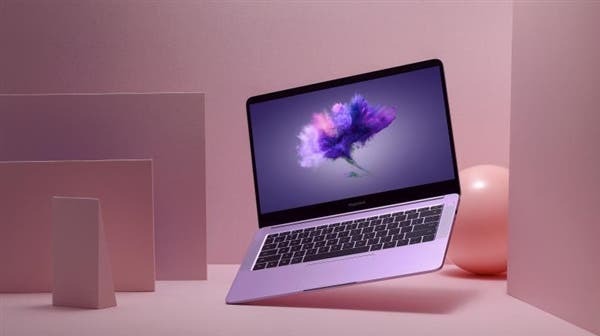 The MagicBook is packed with the latest eighth-generation Intel chips. The highest variant sports a Core i7-8550U processor with 4 cores and 8 threads. 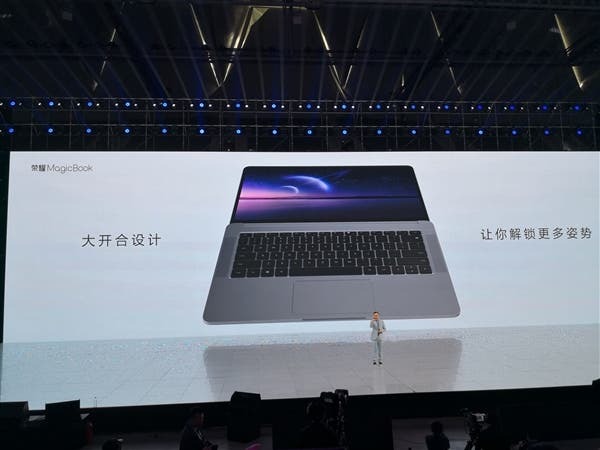 It runs on a 14nm advanced process node. The graphics card is the NVIDIA Full Blood MX150 that comes with a 2GB GDDR5 high-speed memory. That’s why the GPU performance is 40% higher than the previous-gen models. All these features are great. And each of them could be considered as a selling point. 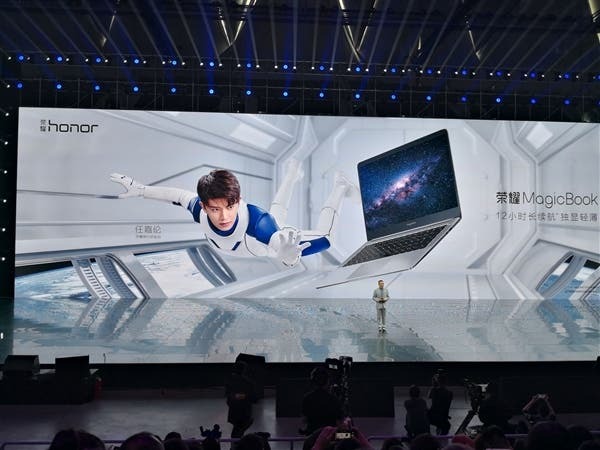 But the manufacturer promotes it as a durable laptop. 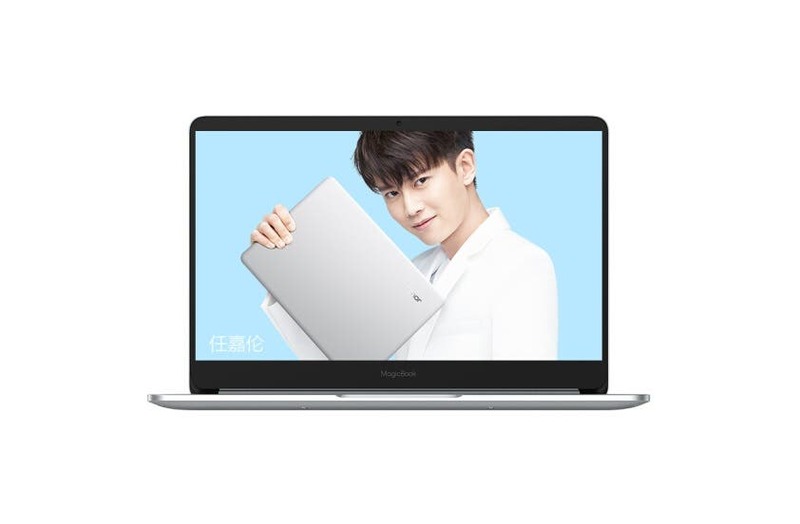 The Huawei Honor MagicBook sports a 57Wh battery, which is capable of providing up to 12 hours of Full HD video playback, 12 hours of web browsing, or 13 hours of working on documents. 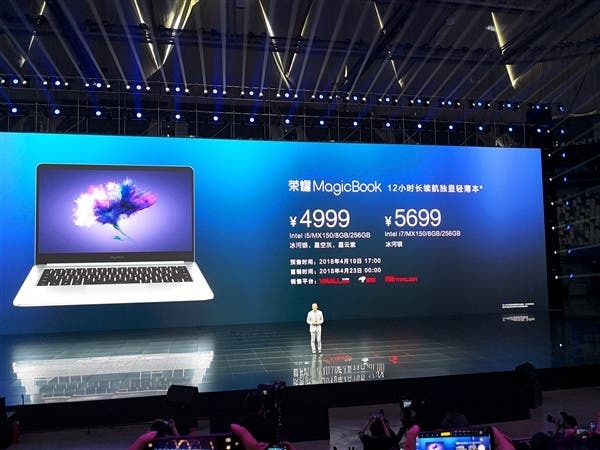 It is worth mentioning the Honor MagicBook charger is very light and it supports a wide variety of output power – 5V2A, 9V2A, 12V2A, 15V3A, 20V3.25A. This laptop is also equipped with a high-bass four speakers that support Dolby Sound System. 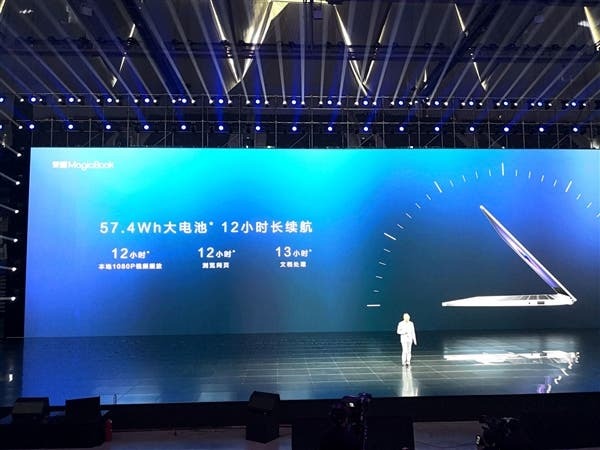 The Huawei MagicBook’s 2×2 MIMO dual-antenna can effectively improve the ability to catch signals. Even with weak signals, the MagicBook can still provide an excellent connectivity. One of the most interesting features of this laptop is the Magic-Link connection mode. Once a phone and the notebook are paired, the MagicBook will automatically back up photos (up to 1GB/minute). 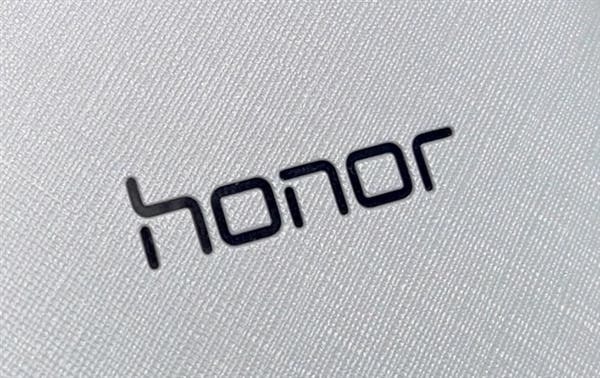 You can also transfer files between your computer and mobile phone through Huawei Share. A two-year warranty is provided. The pre-sale has also started. And it will officially go on sale at 0:00 on April 23. 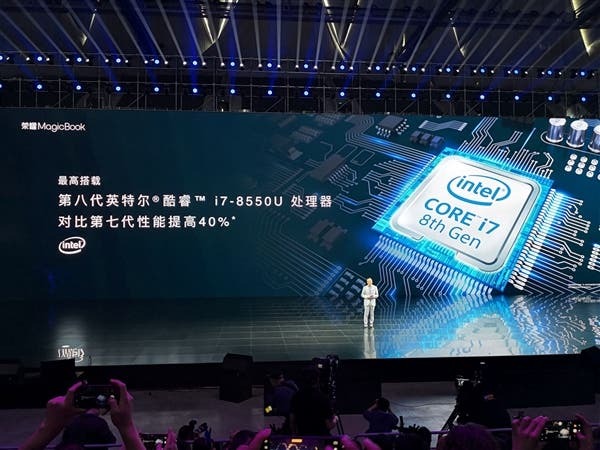 There are two variants in terms of configuration – the i5/MX 150/8GB/256GB model costs 4999 yuan ($796), while the i7/MX 150/8GB/256GB variant costs 5699 yuan ($907).